Home / Crowdfunding ROI Pt. 2 – How will investment crowdfunders make their money back? Crowdfunding ROI Pt. 2 – How will investment crowdfunders make their money back? 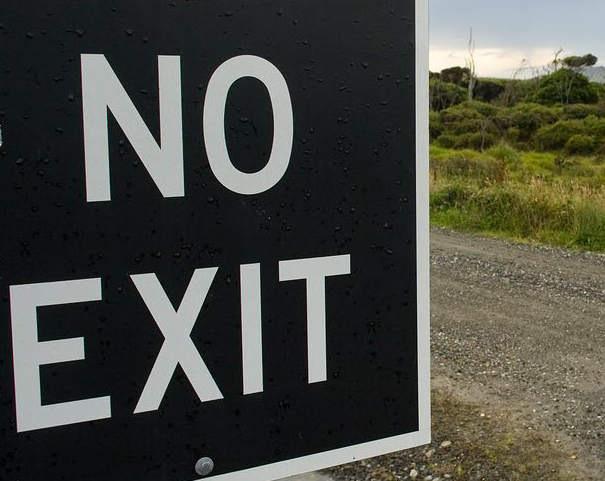 “Which Way Is the Exit?” How Will Equity Crowdfunders Exit Their Investments? As a result, the reality of equity crowdfunding that we got in the JOBS Act and the SEC’s proposed rules includes many regulations and restrictions. But supporters hope that not only will startups have a new source of capital to tap, but that the average person will now have the opportunity to invest in startups and hopefully experience the exponential growth that up until now have really only been available to wealthy individuals and venture capital funds. However, it isn’t exactly clear how the average investor will actually exit their investment and realize that astronomical return. Is Investment Crowdfunding More Trouble than It’s Worth? Though there is much optimism surrounding the introduction of equity crowdfunding, start-ups who use the exemption might find themselves with a little more trouble than they bargained for. For starters, the costs of retaining the attorneys and accountants necessary to complete all the compliance required by the proposed regulations, in addition to fees that will be paid to the funding portals, could reach as high as $100,000 — 10% of the maximum $1 million that can be raised in any 12-month period using equity crowdfunding. In addition to the regulations and disclosures that some find onerous, start-ups may experience quite the administrative burden with having dozens, if not hundreds (or potentially over a thousand!) shareholders. In addition to the ongoing disclosures to shareholders mandated by the proposed SEC regulations, crowdfunded start-ups may have to include those shareholders in corporate governance (such as during annual shareholder meetings), not to mention continual informal shareholder relations — the CEO of a three-person start-up is much more accessible than the CEO of a Fortune 500 company, and many investors expect a sizeable return on their investment and may hold founders accountable if that return isn’t forthcoming. Neither the JOBS Act nor the SEC’s proposed regulations provide any ready mechanism for investors to make a profit. Possible methods include dividends, secondary markets, or liquidity events such as buybacks, subsequent financing rounds, or acquisition. However, each method presents both benefits as well as difficulties. Dividends are obviously a difficult possibility for start-ups — most are cash-strapped to begin with. Having to pay dividends can stretch a start-up’s resources to the limit, or potentially even bankrupt them. In addition, dividends may not be the return on investment that crowdfunding participants are looking for. One of the reasons for Title III of the JOBS Act was to enable the average investor to participate in the exponential growth that investing in startups can provide. Dividends, particularly ones that start-ups might be able to afford, may not be the return that crowdfunding participants are looking for. Secondary markets have been suggested as a means for crowdfunders to sell their shares. Secondary trading markets exist for well-known private companies — companies such as Facebook and Twitter (before they entered the public securities markets) were traded on secondary exchanges. Unfortunately, two issues exist in having secondary markets be a viable exit option for crowdfunding participants. First, there must be enough demand in a company’s securities in order to create a liquid market for a secondary exchange to function. Facebook and Twitter were popular secondary exchange traded companies because they were well-known and people wanted to own the stock as those companies moved toward an initial public offering. Only a small number of startups are likely to reach the level of national recognition necessary for them to be effectively traded on a secondary market. The second issue with secondary markets being an exit option is securities compliance. As stated previously, the JOBS Act and the SEC’s proposed crowdfunding regulations don’t specifically authorize trading for secondary markets or any other exit mechanism. Trading on secondary markets is typically completed utilizing various exemptions to securities regulation that may not be applicable to average investors who are expected to participate in crowdfunding. Moreover, companies are limited by law to having no more than 2000 equity/shareholders before they go public, so exiting via secondary exchanges may be made difficult by companies having to remain under that limit. Liquidity events may also be a difficult method for allowing start-ups to give crowdfunding participants the exit and the return on investment they might expect. Buybacks, like dividends, may be difficult for startups with limited financial resources until after several years if the company is able to establish itself, and also may not provide the massive return that makes start-ups an attractive investment. However, buybacks are probably the simplest exit method for crowdfunding participants from an administrative and legal perspective. Acquisitions and subsequent financing rounds may also be difficult for crowdfunded startups; having dozens or hundreds of shareholders can complicate these transactions, either through a buy-out deal, or, worse, possibly having to negotiate separate agreements with some or all the investors. As a result, while the regulatory and legal hurdles may be easy to surmount, the complexity of transacting with dozens or hundreds of shareholders may make exiting crowdfunding participants through a financing round or acquisition a more time-consuming and expensive process. In the end, despite the difficulties crowdfunded companies may have with them, liquidity events may be the most viable method for crowdfunding participants to exit their investment and realize a return. Not only is regulatory compliance much easier with liquidity events, but such events typically occur when the company has experienced or is experiencing monumental growth, which might give crowdfunders the return they were expecting.